Award winners represent fewer than 1 percent of home and auto insurance professionals in the Chicago area. This award validates that we treat our customers in the same manner that we would expect to be treated,” says James. “All of our employees understand that you, the customer, are our top priority. James Shanahan, Shanahan Insurance, is featured in a special section of the October issue of Chicago magazine as a 2016 Five Star Home and Auto Insurance Professional award winner. James has won the award for five years. Five Star Professional partnered with Chicago magazine to identify and showcase an exclusive group of home and auto insurance professionals who have demonstrated excellence in their field. Less than 1 percent in the Chicago area received this recognition. “Shanahan Insurance is an independent insurance agency. 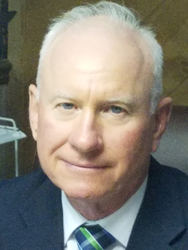 We represent several insurance companies and offer many types of insurance including home, auto and life,” says James Shanahan of Shanahan Insurance. The 2016 Five Star Home and Auto Insurance Professional award winners have been carefully selected for their commitment to professional excellence and overall client satisfaction. The award is based on rigorous research with significant focus on customer feedback and providing quality services. “We aim to uncover the best home and auto insurance professionals across the country. To ensure that we recognize those with the highest of standards, we go to the source — we gather client feedback and use a rigorous research methodology to evaluate candidates and determine qualified winners,” says Josh Kimball, VP Marketing, Five Star Professional. Home and auto insurance professionals are awarded based on an in-depth research process. Thousands of consumers are contacted to rate their home and auto insurance professional on evaluative criteria including customer service, integrity, communication and overall satisfaction. Beyond a qualifying client evaluation score, professionals are evaluated on objective criteria such as experience, production levels and disciplinary and complaint history.